My family and I love sandwiches, and I bet I made thousands of them while my five kids were growing up. 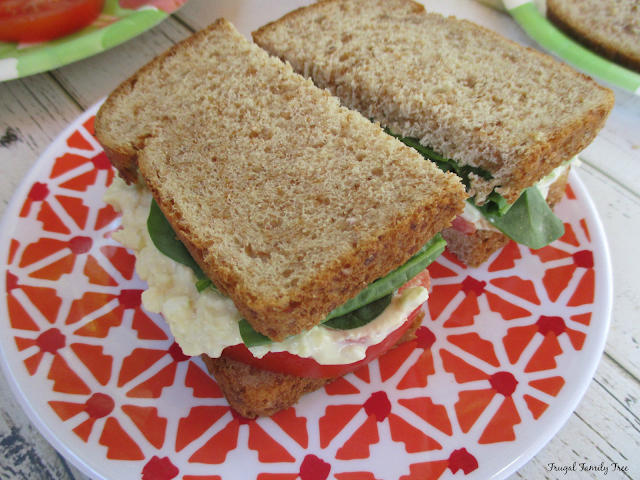 Whether for lunch or dinner, everyone enjoys a great tasting sandwich, and egg salad is definitely a favorite in my house. Of course what you put inside the sandwich is important, but so is the bread. For me, the bread has to be fresh and delicious. That's why Oroweat® Bread has been a staple in my house for decades. I can count on Oroweat® to be great tasting, offer plenty of variety to choose from, and nutritious. 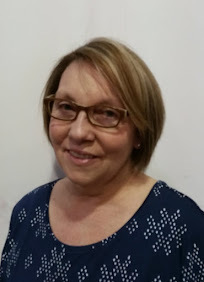 Now that I'm a grandmother of four fabulous grandchildren, I find I'm still making sandwiches for this next generation. We do have a couple of picky eaters, but luckily they all love sandwiches and it's a simple thing to make them whenever we get hungry. For these egg salad sandwiches, I used the Oroweat® Honey Wheat Bread. It's actually a delicious bread that I also use for toast and French toast, and it has a tang of sweetness to it because of the honey in it. Since what we eat becomes more and more important to me, I feel good about choosing a bread that meets what I feel is a standard of quality. And I like that there are so many kinds to choose from, each with the goodness and great taste that I've come to expect. Oroweat® Whole Grains Sliced Breads and Oroweat® Sandwich Thin Rolls contain 2 to 5 grams of fiber per slice or thin, have zero grams of trans fat, and are cholesterol free. They also contain no high fructose corn syrup, something which we always try to avoid. Making these egg salad sandwiches are super easy, and even the kids will eat them with the tomatoes and spinach. I always offer veggies whenever possible to my grandkids, and try to set a good example by eating them myself. And it often works! 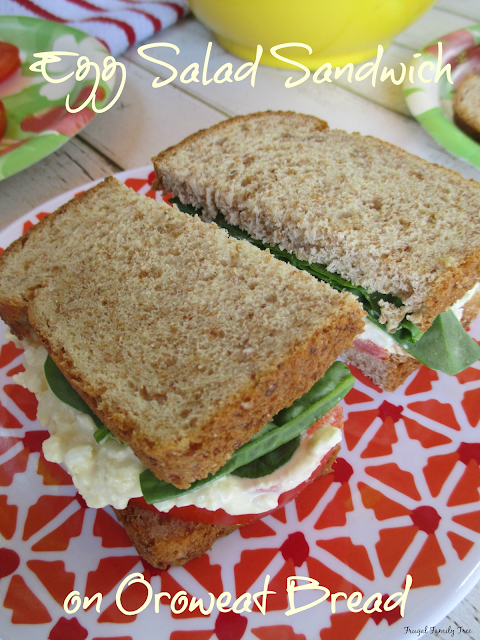 Here's how I make my version of egg salad sandwiches. Feel free to add or subtract the chopped pickles if you like. This recipe will make 6 sandwiches. Mash the peeled eggs in a medium bowl. Add mayonnaise, mustard, pickles, and salt to eggs. Mix together well. Layer the tomatoes and spinach on one side of the bread. Spread the egg salad on the other piece of bread and put together. Oroweat® Bread is hosting their 2016 America's Better Sandwich Contest and you can enter to win a $5,000 prize. This year's contest includes 5 exciting sandwich categories including, Open Faced Artistry, Breakfast In Bed, Creative Classics, Fueling Good, and State Favorites. The recipe in each sandwich category with the highest score will receive a $5000 category prize. Before entering an original better sandwich, entrants should make sure their recipes include any of the Oroweat® Sliced Breads, including any of the Oroweat® Sandwich Thins® Rolls varieties. Entries will be accepted June 15th - August 21st, online consumer voting will take place September 26th - October 23rd, and the winners will be announced on National Sandwich Day- November 3rd. 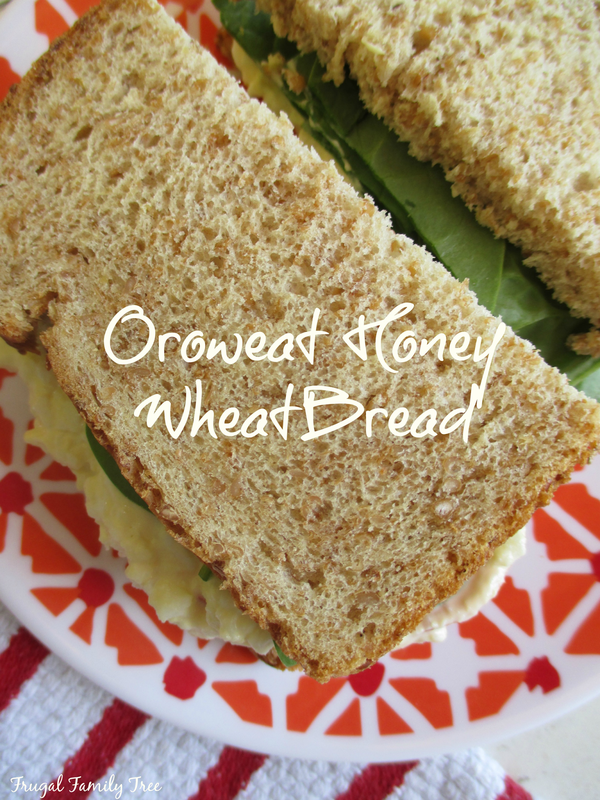 For more information on the Oroweat® Bread 2016 America's Better Sandwich Contest go here. -Six coupons, each valid for $5.00 off the purchase of any Oroweat® Whole Grain Sliced Bread of choice. -Six coupons, each valid for $4.00 off the purchase of any Oroweat® Sandwich Thins® Rolls of choice. -$25 Visa Gift Card to use towards ingredients for your favorite sandwiches. Frugal Family Tree is responsible for this giveaway and Oroweat® Bread will provide the prize to one winner. Are you a sandwich lover like me? Leave me a comment below and let me know what your favorite kind of sandwich is, I'd love to know!! *Giveaway limited to US residents 18 years old and above. Giveaway starts July 21, 2016 and ends on July 27, 2016 at 12:01 am PST. Winner will be emailed and has 24 hours to respond before another winner is selected. I was not paid for this giveaway or post. The opinions on this item are 100% mine and may vary from others. The sponsor is responsible for providing the prize. I like ham and cheese with lettuce. My favorite sandwich has ham, lettuce, tomatoes, black olives, and mustard! I like Honey Ham and Swiss cheese with mayo sandwich. My favorite sandwich includes hummus, roasted veggies and mozzarella cheese. My favorite sandwich is a Roast beef, cheddar, lettuce, tomatoes, mayo on Whole Wheat bread. My favorite is grilled cheese, especially when I add garlic salt to the butter and put some ham on the inside. My favorite is the classic Bacon,Lettuce and Tomato sandwich with a smidge of mayo on it! My favorite sandwich is turkey breast, swiss cheese, lettuce, bacon and a little bit of ranch dressing! My favorite sandwich has to be the BLT! My favorite sandwich is a Turkey Club Sandwich. I like tuna with lettuce and tomato. I love apple & gouda grilled cheese sandwich. Oh I love BLT's...but I do love to make pickle roll up sandwiches with pickles, cream cheese, and ham! I like a tuna and tomato sandwich. My favorite sandwich is egg salad topped with sharp cheddar cheese and a slice of sweet onion. My favorite is a turkey, bacon and avocado sandwich. My favorite sandwich is cajun turkey, baby swiss, avocado and sliced tomato with chipotle sauce on wheat. Turkey BLT's are definitely my favorite. I enjoy Blt's with no tomato and extra lettuce! I love spicy egg salad sandwiches. I love chicken salad and tuna salad on toasted honey wheat. My favorite sandwich is hot ham and cheese! I love the egg sandwiches. I love peanut butter and banana sandwiches! Sometimes I add a little honey too! I like turkey sandwiches with bacon, tomato and avocado. I love a reuben on rye with extra sauerkraut! turkey club is my go too. I love peanut butter and banana sandwiches! 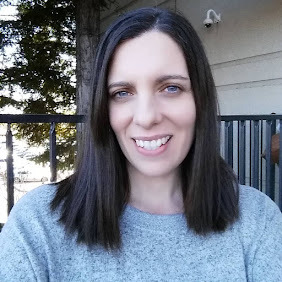 My favorite sandwich is bacon, lettuce, tomato and avocado - yum! Egg salad is my favorite sandwich. My favorite is a BLT with avocado and french dips. I love a good roast beef sandwich. I love a roasted turkey with avocado and sprouts. My favorite sandwich is a BLT. It is so crunchy and delicious! My favorite sandwich is egg salad. I add some lettuce and it's very good! I love turkey w/lettuce, mayo, and mustard! my favorite sandwich is a classic blt, with fresh cooked bacon and real butter. I really like fried balogna and onion. I like a ham and swiss with lettuce, tomato and cucumber. Peanut butter and jelly sandwiches are my favorite! I love grilled cheese made with sharp cheddar! By far my favorite is BLT's!!! I love Love them!!! My favorite is tuna fish , with mayo, green olives, and cheese..so good. I love a good grilled cheese. The right kind of cheese and crispy turns into gooey deliciousness. I really love a classic peanut butter & jam sandwich an also a turkey/chicken sandwich with bbq sauce. My favorite sandwich is a nice corned beef and swiss cheese with mustard. Yum!!! I like grilled cheese with bacon! my favorite sandwich is ham with mayo, mustard, tomato, and pickles. I really love a good tuna sandwich. My favorite sandwich is a BLT with avocado and using organic mayo and veggies on a sandwich thin. I like a ham and cheddar cheese sandwich topped with lettuce and tomatoes.